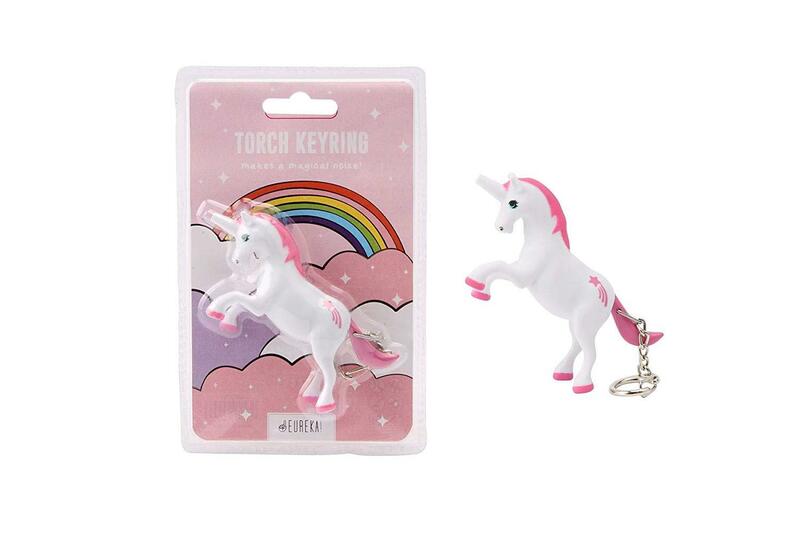 This adorable unicorn torch will brighten up any day simply push the tail down and bright LED light will come from unicorns horn along with a magical sound. Lovely detailed face and a cute shooting star on the flank. 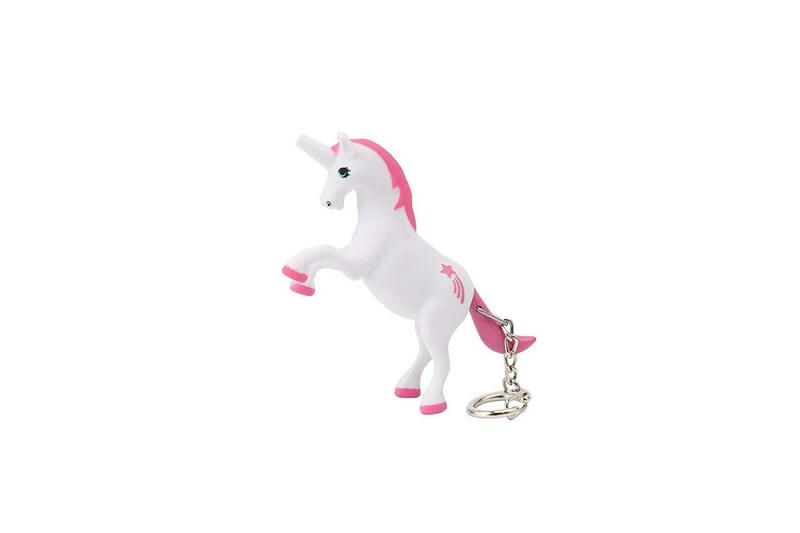 Requires 3 x LR1130 batteries (included).